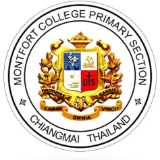 Montfort College Primary School (Chiang Mai) is seeking an active and passionate teacher who is looking for a long-term career opportunity to become a part of the English Program,at a beautiful campus school located near the river and Night Bazaar in Chiang Mai City. This position is only open to native speakers (UK/US/Aus/NZ/Canada/Ireland) with a Bachelor’s Degree in maths or science, TEFL/TESOL (preferred) and teaching experience . Start date is early May. •	Approx. 20 teaching periods per week. •	Working with a partner/co-teacher (Thai nationality). PLEASE NOTE: Only applicants who are available for a personal interview/demo at school will be considered.